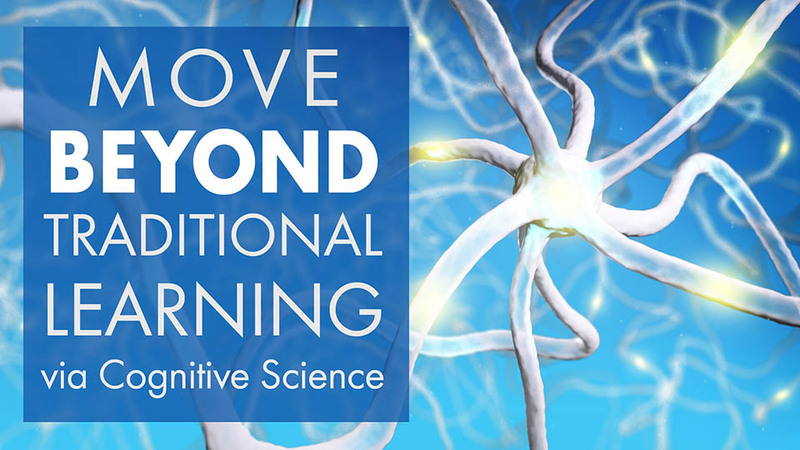 The first cognitive science concept is Experiential Learning. It’s quite intuitive actually – in essence, learn by doing. People have learned through experience in the apprenticeship learning model for thousands of years. In this model, people learn predominantly physical, highly observable skills. Today’s skills are often related to abstract decision-making, where it’s difficult to observe the masters of the craft. To expose this “invisible” expert thinking in a learning program, we can use another learning construct known as Cognitive Apprenticeship (which we cover here). Experiential Learning drives home the idea that we learn best through experience. 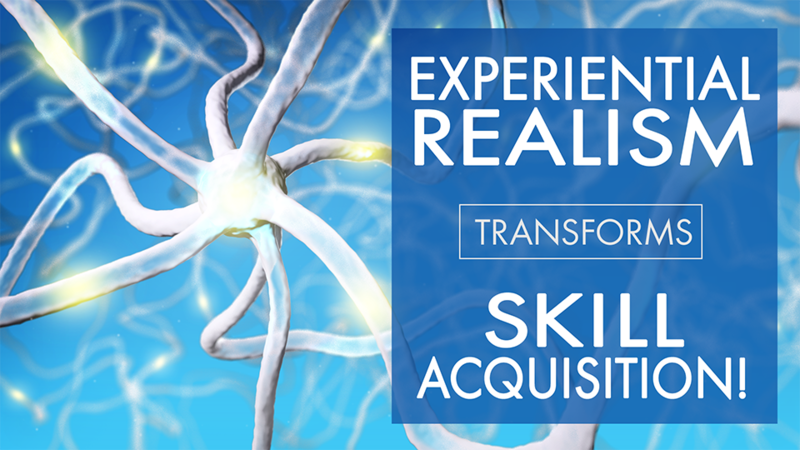 From a skill acquisition training perspective, our goal then is to create an authentic virtual experience that translates to real-world behaviors. But what should that experience be? 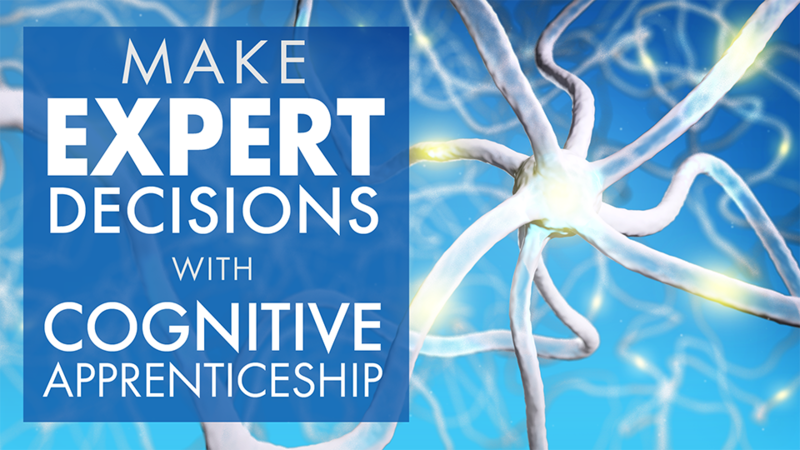 Situated Cognition, the second cognitive science concept, provides us with some guidance. Situated Cognition asserts that the context of the learning experience matters. 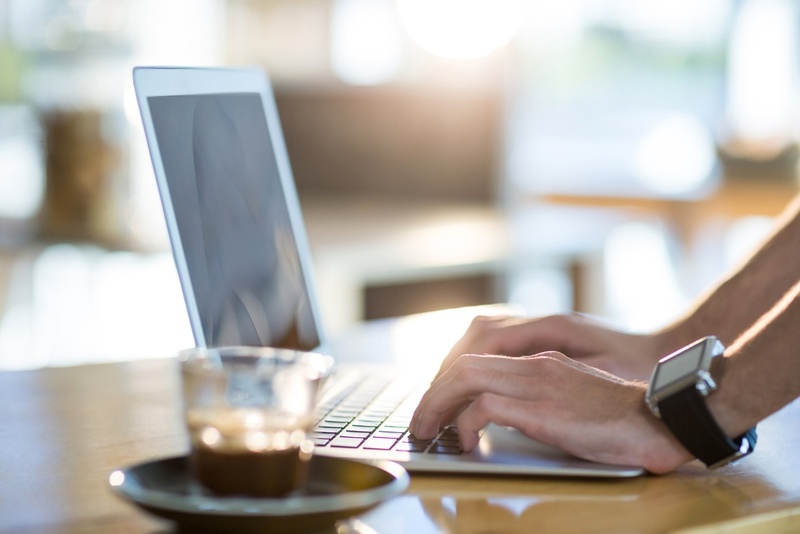 The learner must understand the concepts and skills, within the context of the real-world situations in which they will eventually be utilized. Essentially, we should immerse the learners in simulated, real-world challenges that are free from risk. Let’s take an inventory of what we have gathered so far. Learning from experience is an effective approach for skill acquisition, and the learning experience should simulate real-world context. So, where’s the evidence that realism is important? Substantial evidence comes from simulators used for skill acquisition by medical schools and the military. In both cases, there is considerable emphasis on high fidelity simulations, where “high fidelity” means a highly realistic representation. The reason for this emphasis, is that studies over the past 40 years have overwhelmingly shown, that high fidelity simulations lead to better learning outcomes. The same reasoning applies for role-play-type simulations in sales training, customer service, and medicine. In medicine for example, many schools employ actors to play patients so students practice in an authentic environment, but are still not learning their craft on real patients. In all these situations, we can view this simulated experience as a surrogate for actual experience, without the attendant risk. For example, in our programs, we immerse learners in realistic environments where they make decisions, and receive contextual coaching to guide them to recognize optimal decision-making patterns. Applying these and other cognitive science concepts, can help us utilize experiential realism in skill acquisition programs, to attain real-world performance gains. McGaghie WC, Draycott TJ, Dunn WF, Lopez CM, Stefanidis D. Evaluating the impact of simulation on translational patient outcomes. Simul Healthc. 2011;6 Suppl:S42-7.